This week has been absolutely freezing! Temperatures have been constantly in the minus figures for days. Our boiler is in overdrive, as it attempts to keep us warm indoors. When I do step outside – to get to and from the car which takes me to and from work – I feel like I’m going to freeze to death… heaven forbid I be dramatic. We went to Pizza Express in town, on Saturday night. Walking through Southgate, in sub-Arctic conditions was not fun! All of this can be blamed on the aptly named Beast From The East. Things are only going to get worse, with heavy snow forecast from tomorrow lunchtime. I remember as a kid loving the snow, hoping it would close the schools. Now, as a sensible grown up, who has to work, it’s a pain in the arse! Donald Trump’s proposal to reduce gun attacks in schools… introduce more guns into schools. Leeds may still be without a win during 2018, but at least they didn’t lose to Bristol City – something, considering where I live, I would find most embarassing. Luckily, however laughable Leeds can be at times, Bristol City can be equally as pathetic; this time throwing away a two goal lead. See you next season, me babbers. Pests are a huge problem in the picturesque City of Bath. They seem to be increasing in numbers at an alarming rate. It doesn’t help that there are so many places they can feed themselves on rubbish. While originally just residing in the city centre, the vermin have now expanded their territory and many can often be found living in our suburbs. 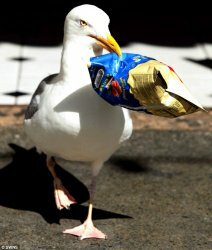 Along with gorging on rubbish, they can often be seen defecating onto buildings, parked cars and buildings. They’ve also been spotted breeding in public. On an even more serious note, when approached, these hazards have been know to attack members of the public. It is also believed that they carry disease. Something has to be done and fast. If we continue to turn a blind eye to the ever-worsening situation, the entire city will become overrun with students. As I didn’t blog yesterday, I am making amends, by blogging twice today. You’ve already had my post on the joys of online shopping. My second entry is about animals in the news. I don’t know what such an experience would have on me. At best, I would be a little peeved and would write a blog about my annoyance. At worst, I would burn the house down in fear. 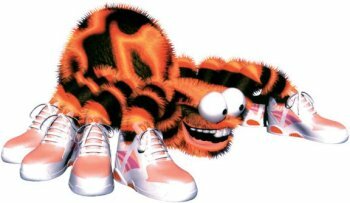 In reality, considering mother spider did not seem to be present, I think it would be somewhere in between the two. Me thinks someone was after compensation and was disappointed when she didn’t get a £40 Sainsbury’s Gift Card. I’m hardly one to criticise her – especially after everything I’ve scabbed from Amazon and Tesco over the years, after their crap service. The second story in my local rag involved a woman feeding seagulls, inadvertently recreating a scene from Alfred Hitchcock’s The Birds, while causing furious outrage amongst Batholians. As if the locals haven’t had enough to put up with, what with the council changing the bin collection to once a fortnight! CRUSTS! Not CRUSTS! When will this madness end? Will someone please think of the children? Forget that! GET THE SODDING ARMY OUT! The final animal story involves lions. Unsurprisingly, this wasn’t in the Bath Chronicle, as lions don’t live in Bath. I was pleased to read a heart-warming story of a poacher being killed and eaten by a pride of lions, in Africa. I’m not somebody to wish death upon a fellow human, but if you’re that much of a C-U-Next-Tuesday, that you enjoy illegally murdering beautiful wild animals, then forgive me if I take a wry smile if the beasts fight back. According to the story, only the poacher’s head was left. 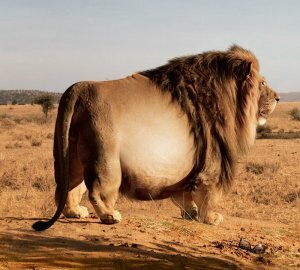 I hope he tasted nice and that the lions enjoyed their meal.